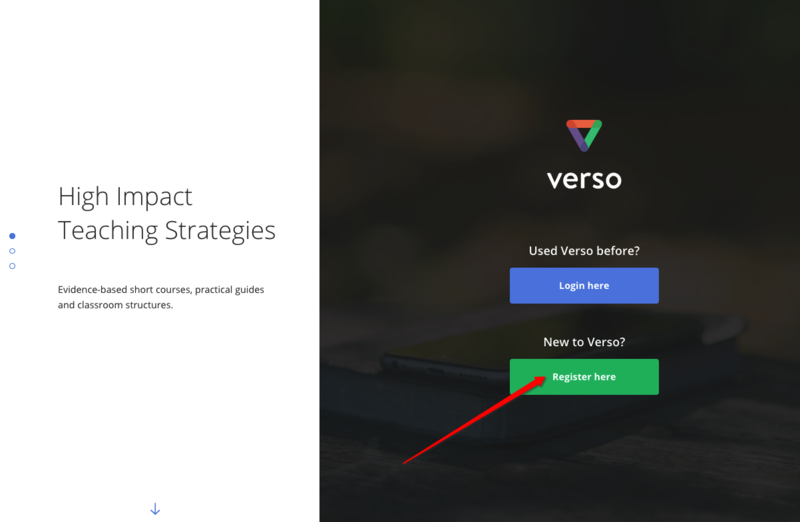 Build your user profile in a few quick steps to enable us to personalize your Verso experience and tailor your professional learning recommendations. Undertake a short walk through of Verso to help you get the most out of it. 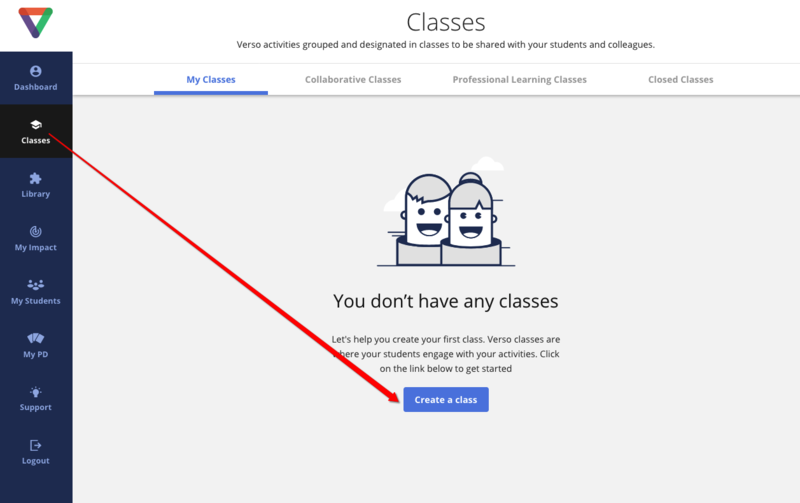 Simply create a class name and share a class code with your students or upload a classlist. Students can then login from any device, join your class and start any activities you’ve assigned them. Share your class to co-teach or co-create with a colleague. Reduce workload and benefit from the support of your peers. 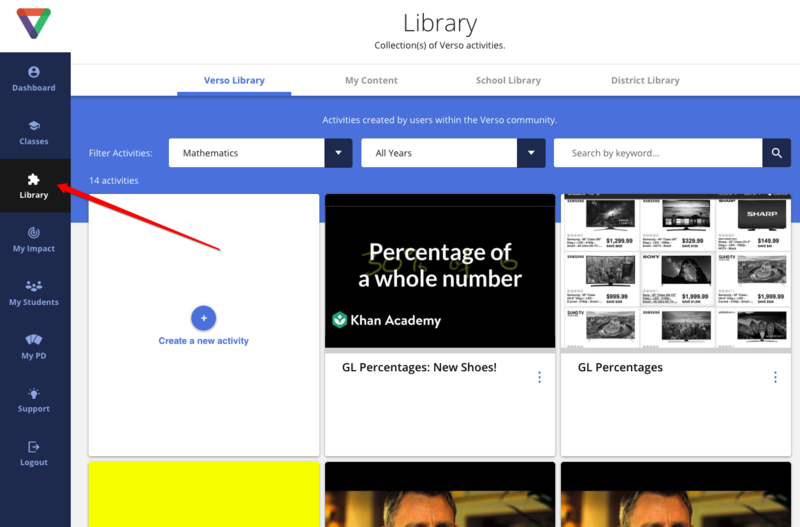 Browse our libraries of pre-created activities, filtering by grade, subject or topic. Feel free to edit and add it to your class. Or build a new activity using your own inputs. Using the Verso high-impact activity builder, adapt and customize any activity to your student’s needs quickly and easily. (Tip: enhance your activity and boost engagement by adding an online or offline collaborative structure from our library). Share your new activity with a colleague. Now you’ve created an activity, send it to your students, assign it via Google Classroom, or simply deliver it in class. Verso’s unique workflow and student anonymity supports students in taking risks and thinking more deeply about their ideas. Step 5: Reflect and Share! 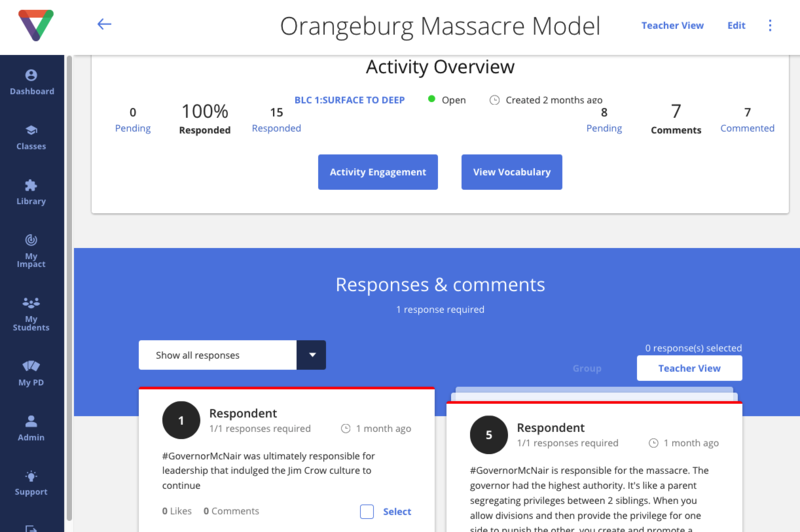 As students respond, Verso’s unique workflow delivers valuable real-time visibility on original student thinking alongside insights into their use of academic vocabulary and data on the extent to which each student has engaged. 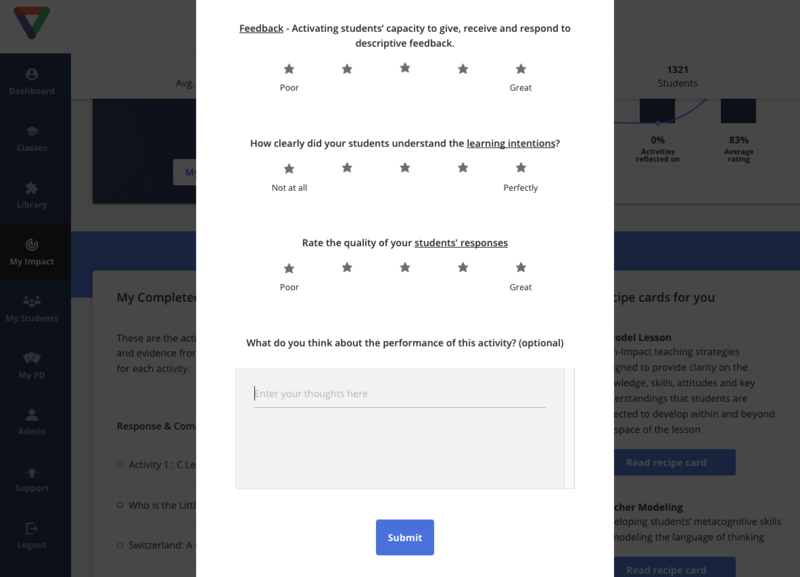 This valuable feedback along with teacher and student reflections, supports you in adapting planning, and personalizing the learning experience for every student. Back to Step 4 Sign Up Now!